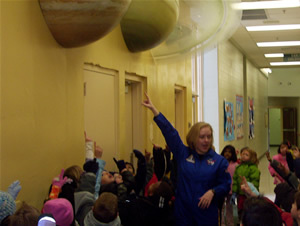 The WVHS Planetarium welcomes groups to visit during the school day. Programs are best described as live, multimedia LESSONS that are aligned to the Next Generation Science Standards (NGSS). Programs offered after the school day include Scout Programs and Family Nights. For more information, refer to the navigation links on the left.